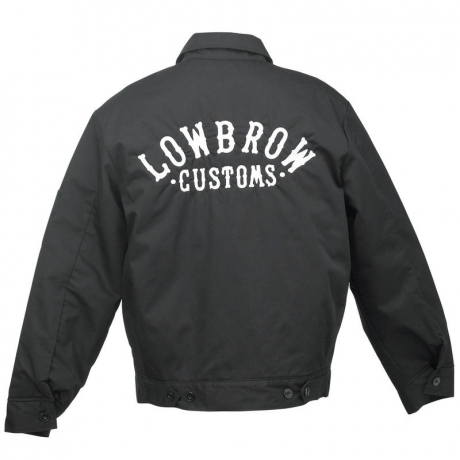 These Lowbrow Customs work jackets have the vintage arched Lowbrow logo fully embroidered logo in white on the back and a patch of your choice on the left chest. 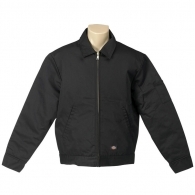 Brand new Black, lined Dickies Eisenhower work jackets. 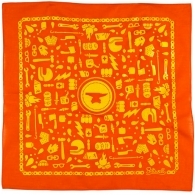 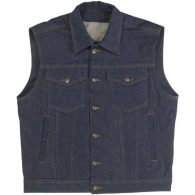 These are high quality, the kind of jacket that will last you for years.